Mike joined Laguna Financial Advisors in 2010, after starting his career in 2008 at one of the only remaining not-for-profit financial firms in the US. He states that his goal is to provide his clients with sound, personalized advice to empower them in their goals, and through all stages of their lives; working with issues such as education planning, retirement, business strategies and beyond. He holds his FINRA Series 7 and Series 66 registrations and is a licensed Life and Health Insurance agent (CA License #0G26475). A southern California transplant, Mike moved from Portland, Oregon to attend California Lutheran University where he graduated in 2008, and never left. 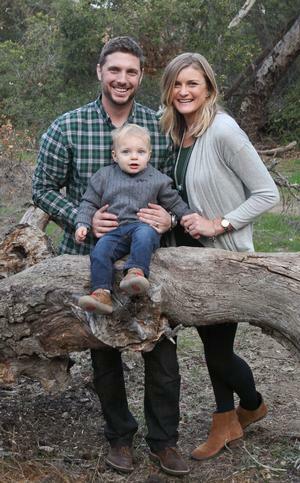 Mike and his wife, Casey, live in Mission Viejo with their two dogs (Hank and Griffey), and son Rhett. If you happen to run into Mike outside of the office, he loves all things outdoors (camping, hiking, fishing, rafting, you name it), sports (baseball, golf, college football), being active in the volunteer community (Boys and Girls Club, California Lutheran University Alumni Board member), traveling, woodworking, and is a budding home brewer.